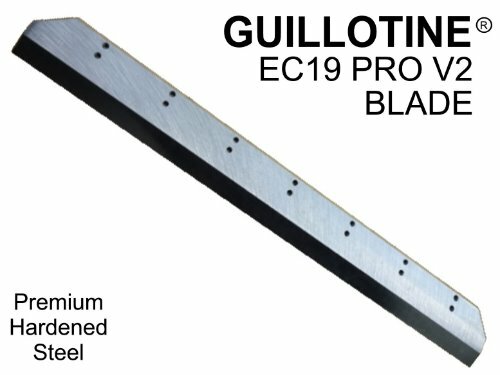 This cutting knife blade is for the Guillotine EC19 PRO V2 Electric paper cutter. These are new replacement blades. We only guarantee compatibility with our Guillotine EC19 PRO V2 Electric paper cutter. IMPORTANT: Make sure you are ordering the correct blade. We have 4 different EC19 cutters (EC19, EC19M, EC19 PRO and EC19 PRO V2) and blades and cut pads are different. All sales on blades are final so if you order the wrong blade it cannot be returned for refund or exchange. If you have any questions as to which cutter you have please contact us before ordering.